Dr William Orovan is a graduate of the Michael DeGroote School of Medicine at McMaster University. He holds an M.B.A. from the Queen’s University School of Business. Dr Orovan is a Fellow of the Royal College of Physicians & Surgeons (Canada) and of the American College of Surgeons. He is a Diplomat of the American Board of Urology. Dr Orovan has practiced Urology and Urological Oncology in Hamilton, Ontario since 1981. 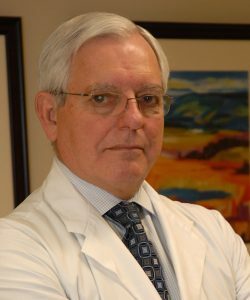 He has served as Chief of the Department of Surgery at St Joseph’s Hospital Hamilton for 12 years and as the Chair of the McMaster University Department of Surgery for 13 years. He is currently Associate Dean, Clinical Services and Commercial Enterprise, Faculty of Health Sciences, McMaster University. Dr Orovan served on the Board of the Ontario Medical Association for 11 years and was President of the OMA 1998-1999. He also served as President of the Hamilton Academy of Medicine and was a Board member of the Canadian Medical Association for 6 years. Dr Orovan has served on a large number of Boards and Advisory Committees in Health Care, both public and private. In addition to serving as a member of the Ontario Health Technology Advisory Committee of Health Quality Ontario, he is currently Chair of the Hamilton Academic Health Sciences Organization. Dr Orovan has been active in community service. He served on the Board of the Hamilton Community Foundation for 9 years and was Chair of the Foundation in 2003. Dr Orovan has been a strong advocate of evidence based medicine and of a balanced public/private medical care system for Canada. He has written and spoken widely in support of these causes. His main clinical and research interest is in minimally invasive ablative treatment of organ confined prostate cancer. He is currently President and Medical Director of Maple Leaf HIFU.